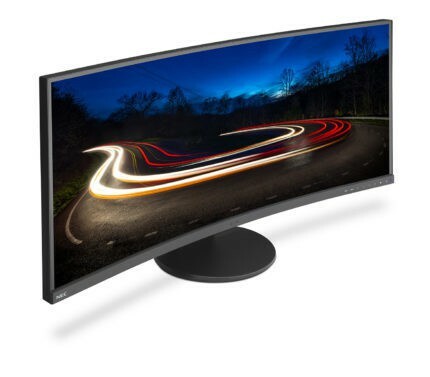 Meet NEC’s very first curved monitor, the NEC MultiSync EX341R. This giant, ultra-wide monitor is by no means a gaming monitor due to its mediocre input lag and low refresh rate, but it offers a lot of interesting and innovative features. Additionally, it has plenty of connectivity and ergonomic options as well as a high-contrast image quality with vibrant colors and impressive black tones. 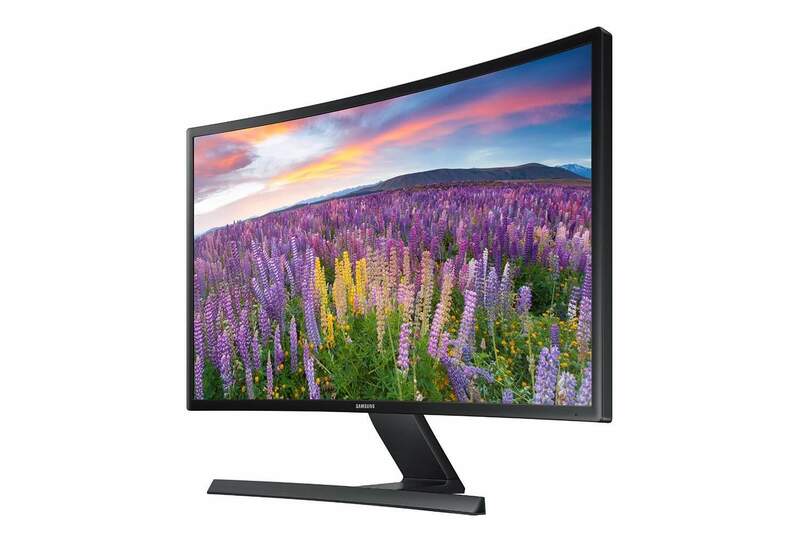 The monitor is also sometimes dubbed as the NEC MultiSync EX341R-B. The vibrant image quality of the NEC MultiSync EX341R display is made possible by the Samsung SVA panel which offers a high contrast ratio of 3,000:1 for a superior relation between the darkest and the brightest colors as well as exceptional grayscale performance and dark shades. Although the panel covers 99.5% of the sRGB color gamut, a high-end IPS panel for the same price delivers a significantly more accurate and consistent colors which make this monitor more suited for offices that rely on multi-monitor setups rather than color precision alone. Even though the colors are not as precise as those of an equally priced IPS panel monitor, they are more than adequate for semi-professional work. More importantly, the colors are factory calibrated and uniform, so you can be certain that your multi-display setups of several NEC MultiSync EX341R monitors will have the identical image. The panel ensures the flawless 178-degree viewing angles for perfect viewing experience no matter the distance and angle you’re looking at the screen. Moreover. there is no noticeable backlight bleeding. Naturally, you wouldn’t spend this much money on such a display if you plan on gaming, but the NEC MultiSync EX341R monitor offers a quick 5ms response time with gray to gray pixel transition. There is only a hint of ghosting present in the casual fast-paced video games and none whatsoever in the everyday use. The input lag performs significantly less impressive than the response time speed. With 34 ms input lag and only 60Hz, the NEC MultiSync EX341R is not recommended for competitive gaming. It may cause severe frustration! The NEC MultiSync EX341R VA displays really shows what’s it capable of once you go into all of its exclusive and unique features. The ControlSync feature, for instance, allows you to modify the settings of up to 25 different displays by adjusting the controls of only one host monitor. Next up, the DisplaySync Pro feature functions as a KVM Switch and allows you to control two PCs using just one set of keyboard and mouse devices connected to the two upstream USB 3.0 ports. Other features include the low blue light filter which along the flicker-free screen makes for a comfortable viewing experience even after many hours of watching the screen. Additionally, NEC has integrated a human presence sensor in the monitor which will automatically send the display to the standby mode once it detects that nobody is within the work area. There is a light sensor available as well which adjust the brightness according to the ambient lighting. Both sensors have sensitivity settings in the OSD (On-Screen Display). There are eight touch-sensitive OSD buttons on the bottom bezel of the NEC MultiSync EX341R screen. Apart from adjusting the sensor sensitivity and the standard configurable parameters such as brightness, gamma, and black level visibility, there are several pre-calibrated picture presets available as well as Picture in Picture and Picture by Picture modes. The picture presets include Standard, Gaming, Movie, Text, Photo, and Dynamic. You can also modify uniformity settings, but there is no 6-axis color adjustment setting available for hue and saturation. There are two Eco modes which can reduce the power consumption from 60W down to 30W. In addition, there are different color modes available such as the sRGB, Low Blue Light, Standard, User Configurable, and DICOM for medical imaging. As you can see, the NEC MultiSync EX341R professional monitor features a simplistic yet modern design with matte-black cabinet and an around 7mm thin bezel at the top and sides. 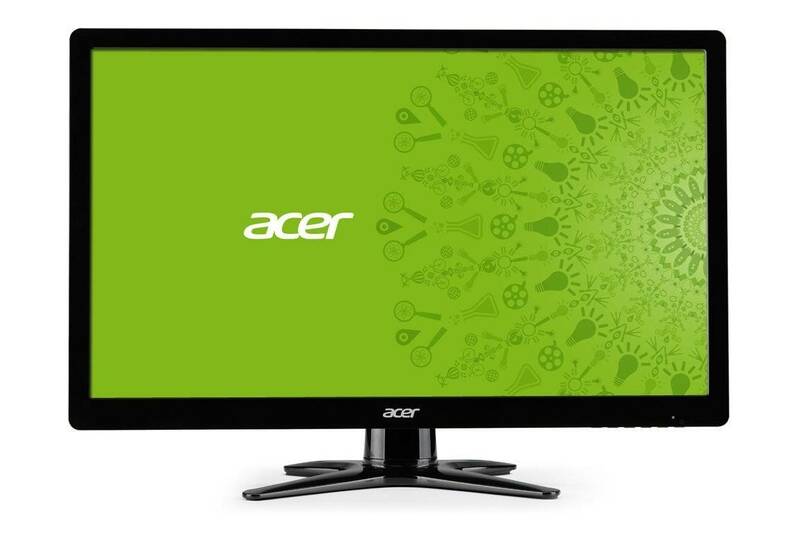 Along with its thin bezels, 1800R curvature, and various multi-monitor control features, it’s the ideal monitor for the multi-display setups. The ergonomic functionalities include height adjustment up to 130mm, tilt by -5, 30 degrees, and swivel to the left and right by 170 degrees; the monitor has an anti-glare coating. The extensive connectivity options include two HDMI ports, one of which is 1.4 while the other one is 2.0, a DisplayPort-in and a DisplayPort-out for daisy-chaining, an audio line-out, and an audio line-in for the 2x1W built-in speakers. Additionally, there are four USB 3.0 ports and two USB-B upstream ports which can be used to connect two different PCs and control them via the DisplaySync feature. At the moment (June 2017), the NEC MultiSync EX341R price amounts to $1,000. If you’re looking for a professional monitor for color-critical designing, then there are better choices out there for the money. However, when it comes to professional offices that need multi-monitor displays that can be effortlessly controlled and uniformed, the NEC EX341R offers everything you may need while still maintaining a decent color gamut, image quality, and performance. The NEC MultiSync EX341R display is also available as a bundle deal for $1,177. The bundle consists of the SpectraView II software and Spyder5 color calibration sensor that offer professional hardware calibration for accurate and uniform colors. The bundle deal is dubbed as the NEC MultiSync EX341R-BK-SV. 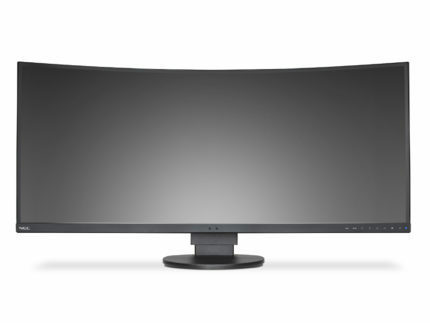 If you’re looking for a professional monitor with vibrant image quality, solid performance, extensive connectivity and ergonomic options, and a plethora of useful features, then the NEC MultiSync EX341R is perfect for your office. On the other hand, if you need a monitor with more accurate and consistent colors with an IPS display that also features ultra-wide resolution and a big screen, check out the Dell U3415W. For ultra-wide gaming experience, you will certainly like the Acer Predator X34 or the ASUS ROG Swift PG348Q. The NEC MultiSync EX341R monitor offers everything a professional office that relies on multi-monitor setups may need and it further simplifies the control over all the unified monitors to the extent where all you have to do is adjust one monitor, instead of up to 25 of them. Due to the high price, it’s not recommended for those who solely plan on doing color-critical work. Naturally, the monitor is not fit for gaming due to the low refresh rate, mediocre input lag, and lack of the adaptive-sync technology. However, video games would still look remarkable on the display due to the high contrast ratio and rich colors, they just wouldn’t run nearly as smooth as they would on an equally priced gaming monitor. 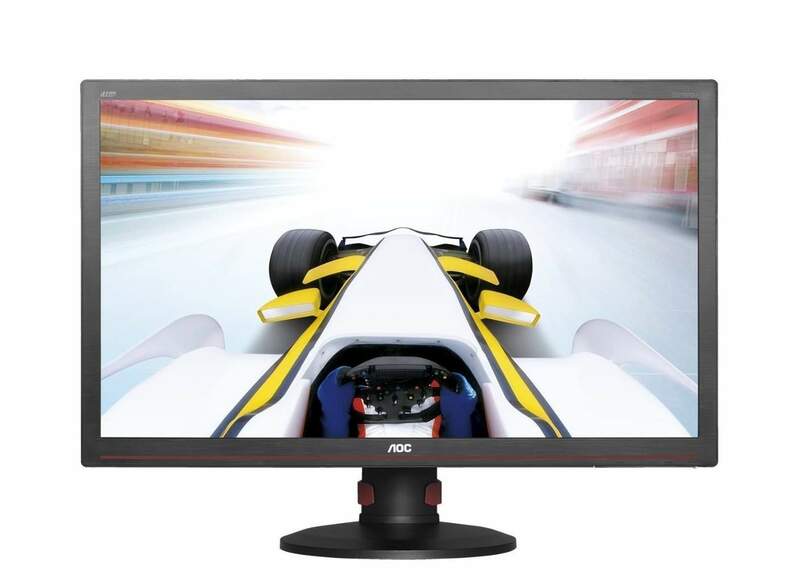 The NEC MultiSync EX341R is an ideal monitor for the professional multi-monitor setup offices as it offers extensive connectivity and ergonomic options. In addition, it offers plenty of innovative and useful features for effortless calibration and control over all the unified monitors. The thin bezel and giant curved screen make professional multi-tasking activities as simple as they can be.